Please join us for an evening of Networking in the bar Upstairs at The White Horse. Come along for a friendly chat, find out more about what AWUK has planned, bring business cards and share your work, make connections and enjoy finding out about what other VFX and Animation women are up to ! We will be hosting a private VIP event on Friday 20th January during the day to encourage activity, volunteering and support in the Bristol and South West area. Afterwards, we are inviting these guests and the good people of Bristol to join us for a public drinks and networking event, which will be held from 5-7pm at Bertha’s Pizza. 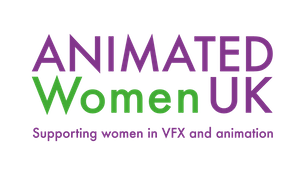 Animated Women UK – Autumn Networking, 11th Oct – London! Join us for our quarterly networking event next Tuesday 11th October! Join Animated Women UK for our Summer Networking event in Covent Garden! Remember to bring your business cards and images/ideas/jobs/CVs etc. Looking forward to seeing you all there and hearing about any projects that came out of our last event at The Mill!